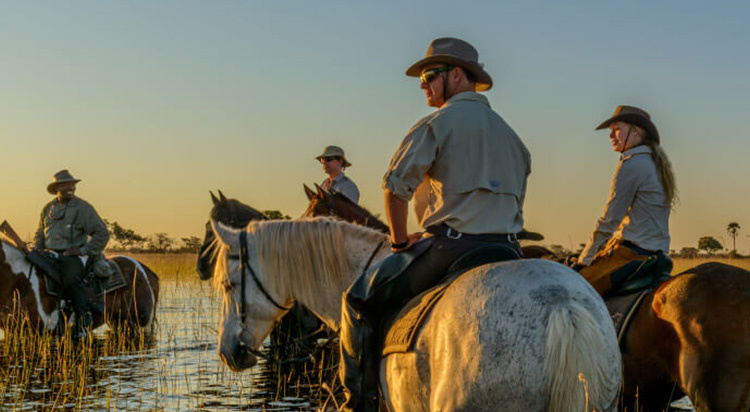 Explore Botswana's lush Okavango delta, on the back of a horse. The tiny Cessna dips through the clouds, and suddenly, the mood on the aircraft changes. They are flying over paradise. 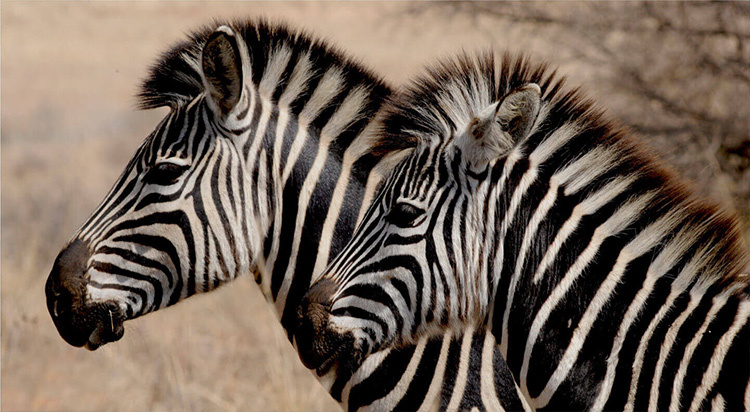 The first glimpse of the real Botswana always does that – it turns grown men and women into enthusiastic children. In the heart of the delta is a hidden camp, a staging ground from which travelers begin their adventures. In the camp’s stables, the horses stamp and neigh, impatient to be off. And every day, the riders oblige them. In the mornings, they canter through the plains, sometimes dry, sometimes overflowing, taking in the greenery. On some days, they go pushing through the high bushman’s hair grass, looking for zebra, antelope and buffalo. 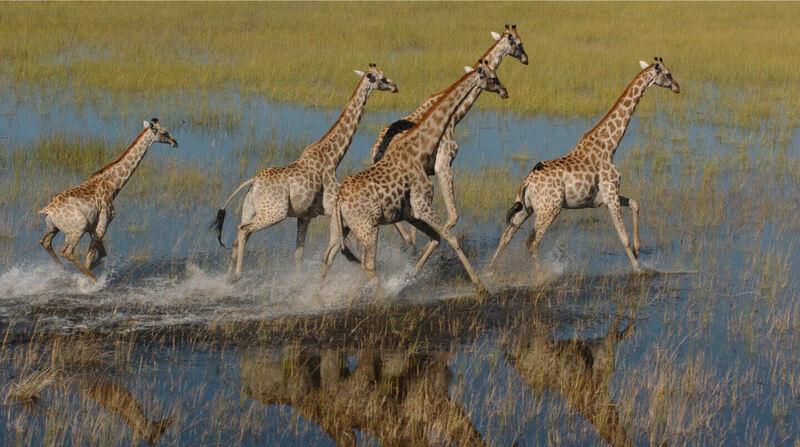 On other days, they gallop across the plains, exciting the baboons and riding with the giraffe. 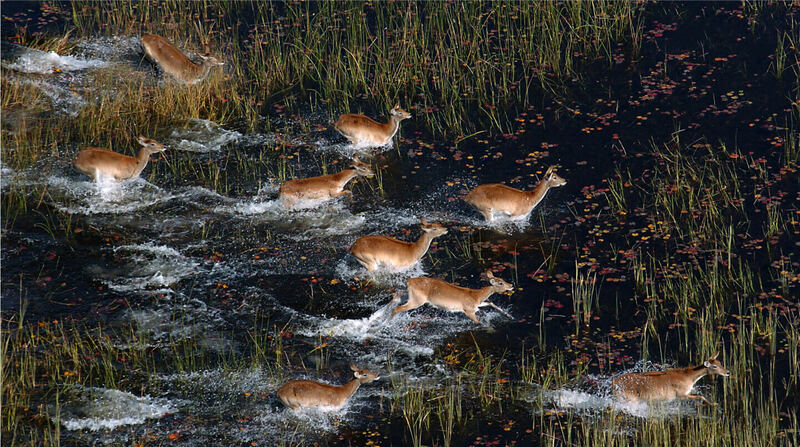 During the floods, they wade quietly through the delta, trying to spot the elusive, semi-aquatic antelope, the red lechwe. Every day out of the camp is drastically different. A tiny change in direction could result in completely new terrain and riding conditions. High palm islands wave in the wind, orchards of fig trees grow wild and mopane woods shelter the antelopes. The famous narrow boats of the region navigate the flood plains with almost supernatural expertise, gliding silently between the lilies. On the banks, a little group sits in a comfortable silence, fishing. Occasionally, one of them has their fish stolen from the line by a cunning kingfisher or African fish eagle, and laughter echoes across the water. 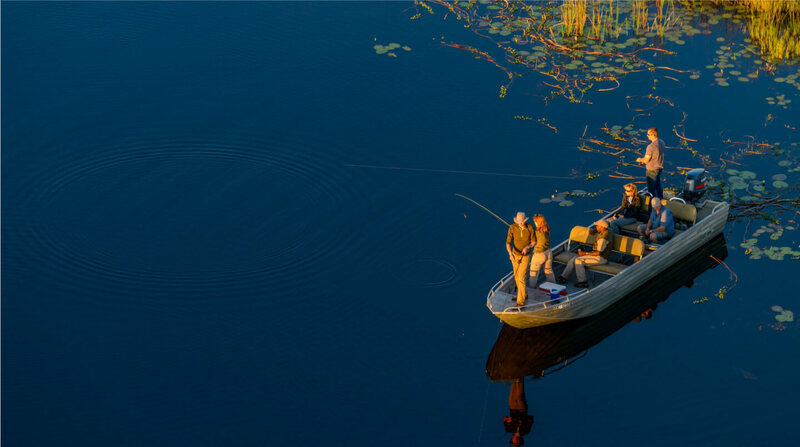 Every evening, a festive boat meanders down the river, carrying a party on board- Botswana’s famous sundowner cruise never grows old. At dusk, the forest gathers at the river to drink- antelopes, buffalo and even a silent leopard. They don’t hear the low click of a camera. The guide has brought his clients wading quietly on horseback through the water, using the islands for cover and getting them into position to get the best possible pictures. The waiting horses patiently munch on lilies. The nights are long, filled with the sounds of the forest. The horses stay in their warm barn, and the 4×4’s come out. They drive the adventurers into the dark to meet the nocturnal residents of the bush. The sharp spotlight sometimes catches a leopard bounding away, or the local hyenas. The most special nights are the ones spent high up in a treehouse, lying beneath the stars and hearing the call of the lions and the barking of the baboons. The sounds of one world going to bed and another awakening is clearer and more magical up in the trees.